Music from 1am. Tickets available on the door only. “Go see them live and let their sonic spiritual awakenings sooth your soul. You won't regret it.”- Lonely Table! ! vision of London’s contemporary jazz artists, particularly the current Tomorrow’s Warriors generation. ! inspired music with the melting pot of London’s dance music tradition. ! many notable radio stations including Jazz FM, Worldwide FM, and South East London locals, Balamii radio. 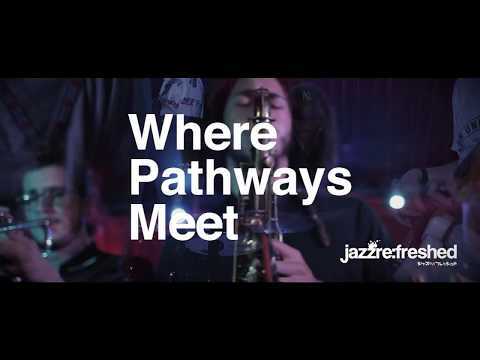 The music of Where Pathways Meet is the sound of outer-space colliding with the London Jazz scene, bringing energy and movement to their audiences. This return to the dance tradition of music is the uniting vision of London’s contemporary jazz artists, particularly the current Tomorrow’s Warriors generation. Where Pathways Meet are carving out their own sound through the fusing of transcendental Sun Ra inspired music with the melting pot of London’s dance music tradition. In 2017, WPM released their debut EP “Arrival”, recorded live, and capturing the joy and wild energy of the music, as well as the connection created with their audience. Since its release, “Arrival” has had airtime on many notable radio stations including Jazz FM, Worldwide FM, and South East London locals, Balamii radio. Tell us what you think of Where Pathways Meet below..